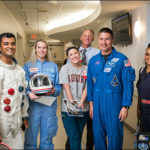 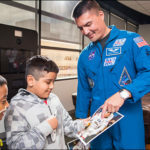 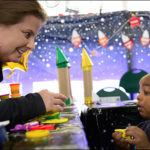 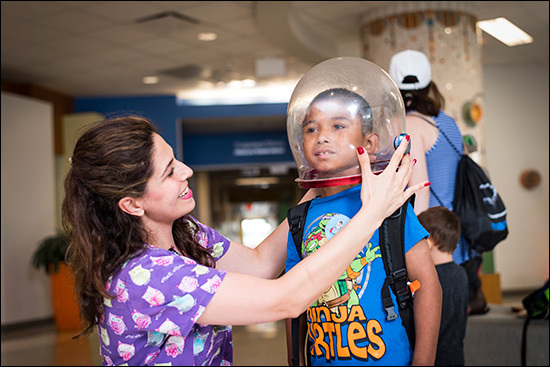 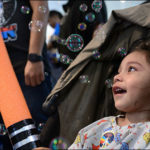 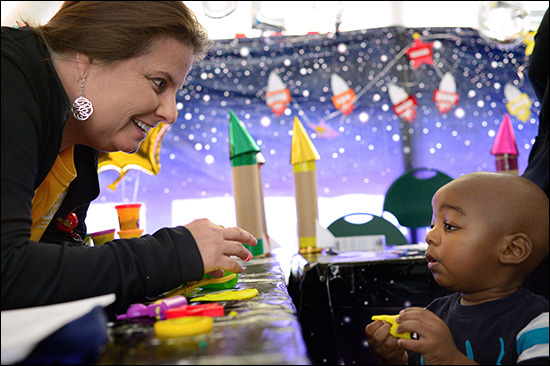 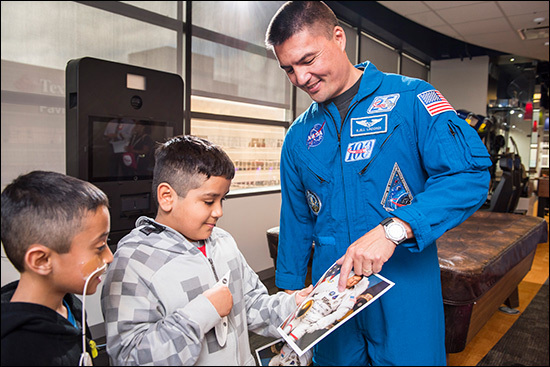 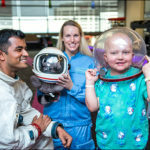 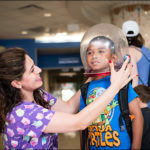 From NASA astronauts to Star Wars characters to the rings of Saturn, Texas Children’s employees and patients experienced a trip to outer space during Patient Experience Week that kicked off on April 24. 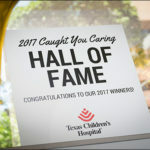 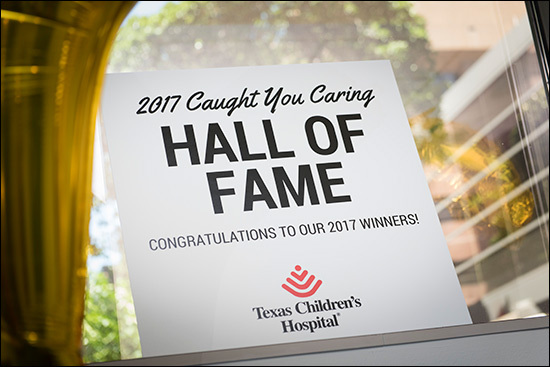 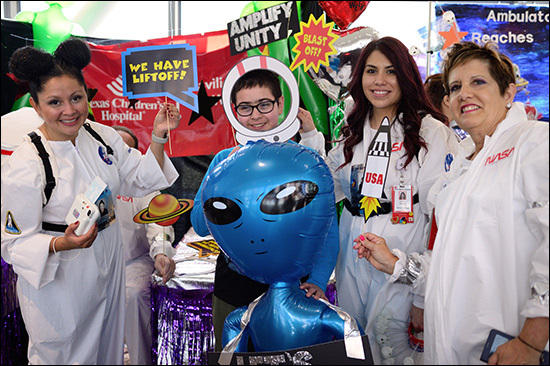 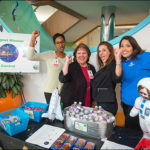 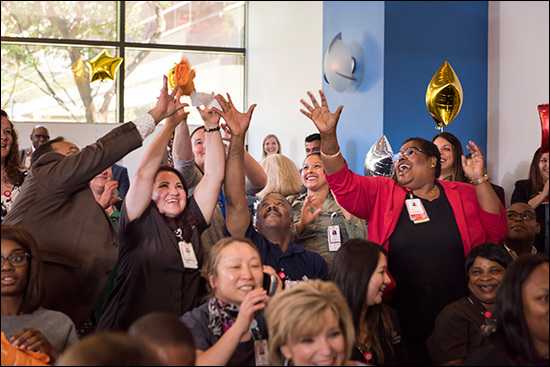 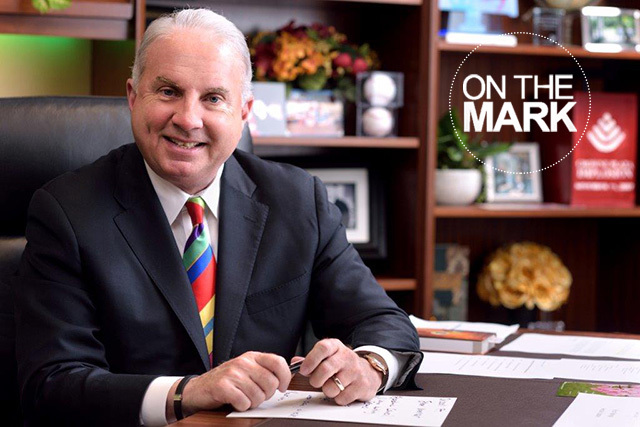 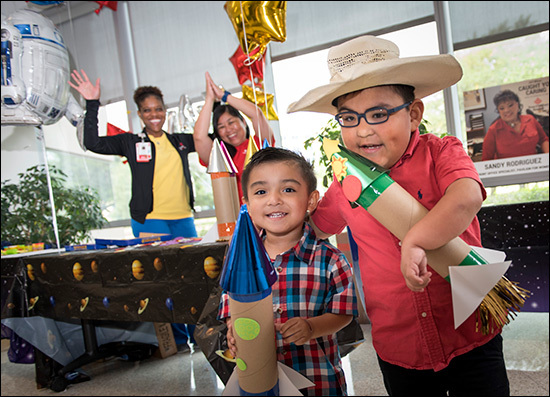 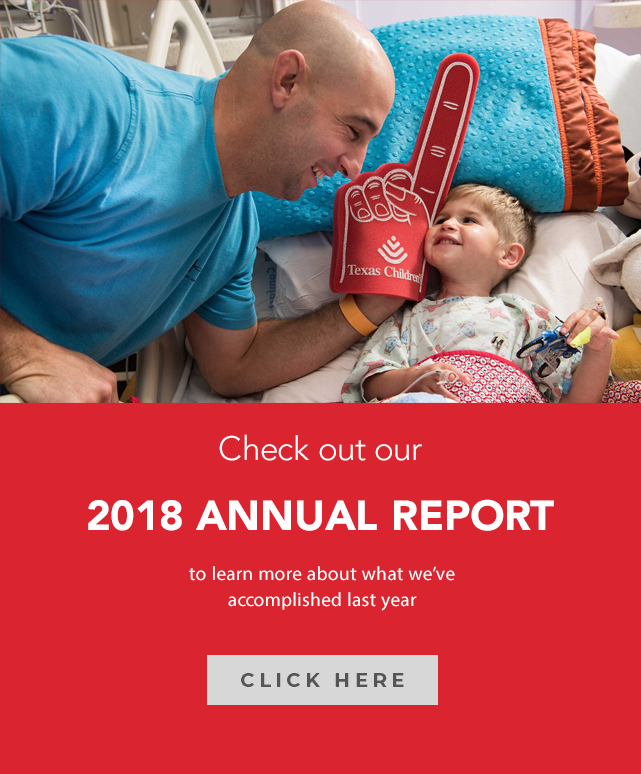 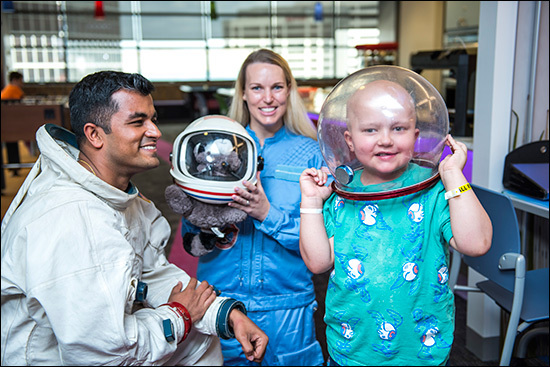 This year’s theme, Texas Children’s Patient Experience is Out of this World, describes what our 12,000+ employees and staff do every day to ensure our patient families have the best experience possible. 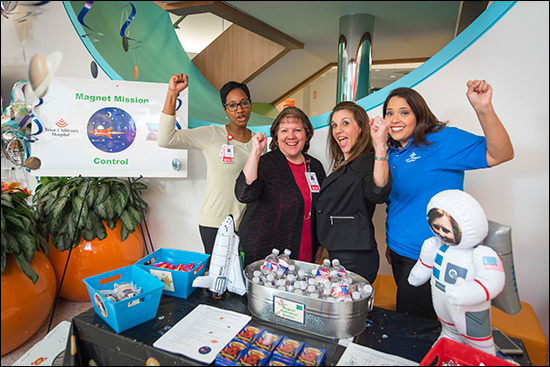 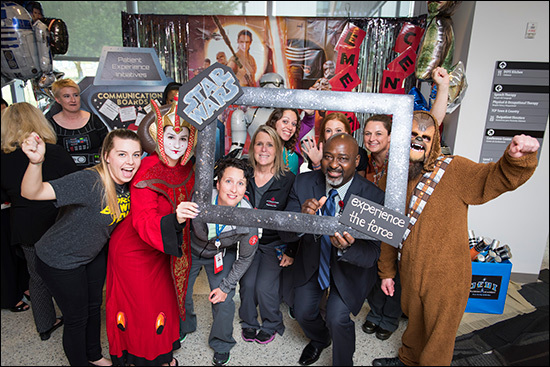 “We thought the space theme for Patient Experience Week was appropriate because our employees and staff are constantly shooting for the stars to create a positive experience for our patients and their families,” said Patient and Family Services Senior Project Manager Maggie Weimer. 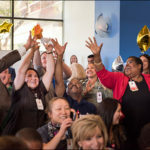 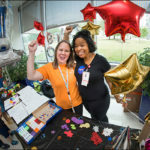 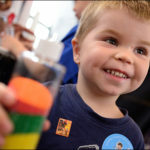 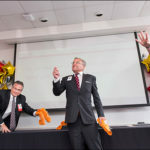 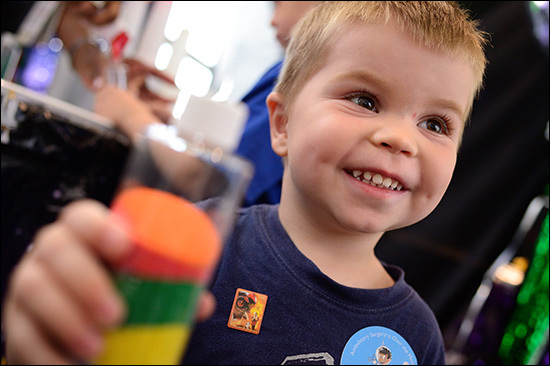 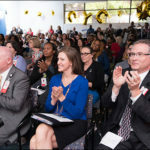 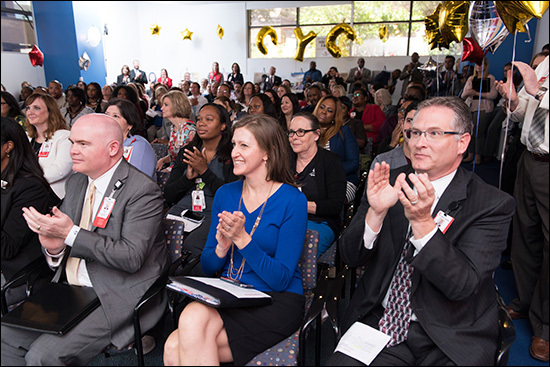 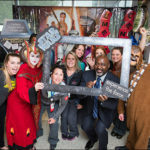 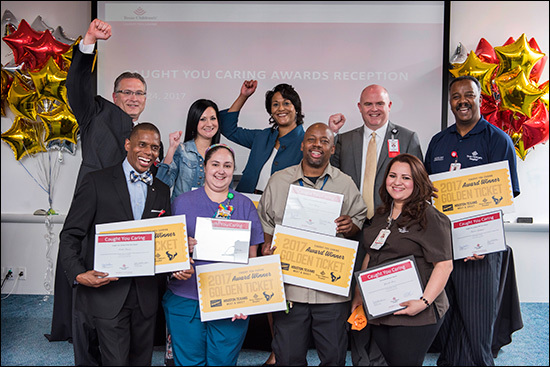 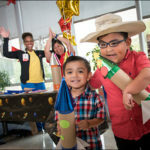 Hundreds of people attended patient and family experience events at Main Campus and Texas Children’s Hospital West Campus. 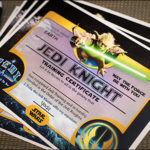 The events offered up a lot of information and a lot of fun. 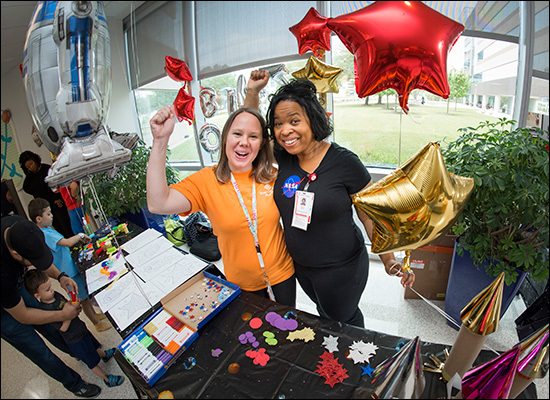 Employee Health and Employee Assistance Program delivered two lectures on how to stay energized and how to bring love and kindness to your lives. 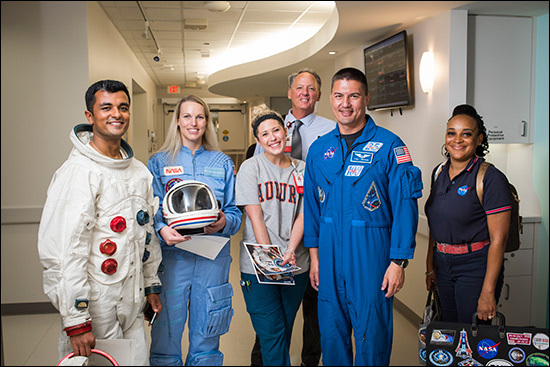 NASA astronaut Dr. Kjell Lindren talked about the commonalities between NASA’s preparation for space flight and how hospitals prepare for patient care. 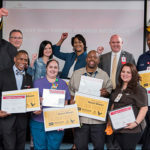 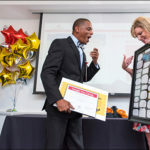 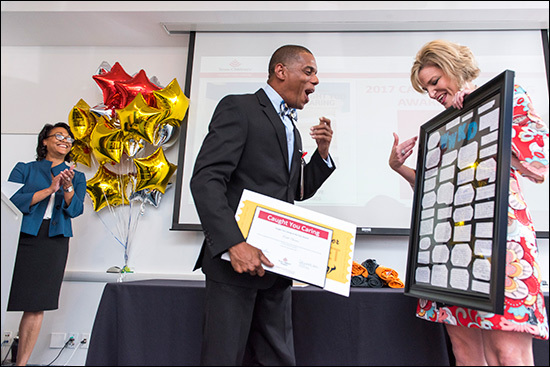 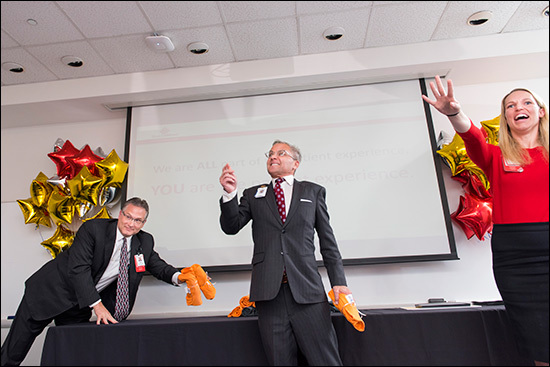 Southwest Airlines Ambassador of FUN Tony Brigmon shared how staying positive, having fun, preventing conflict and working better together can create positive results for an organization. 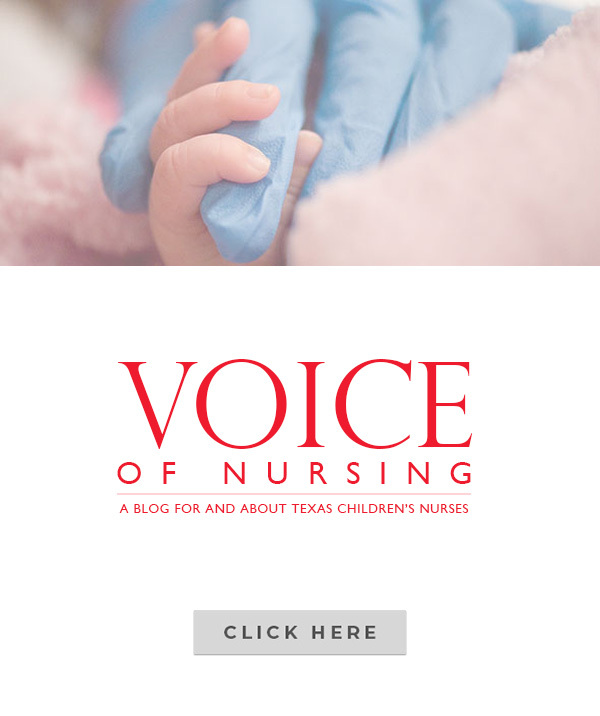 He provided a link to a journal to integrate his tips into our daily routines. 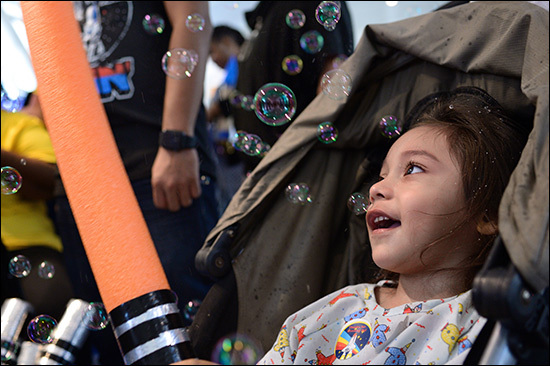 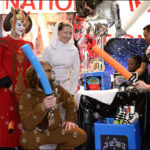 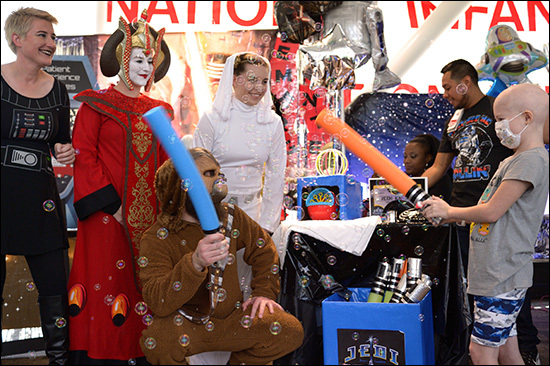 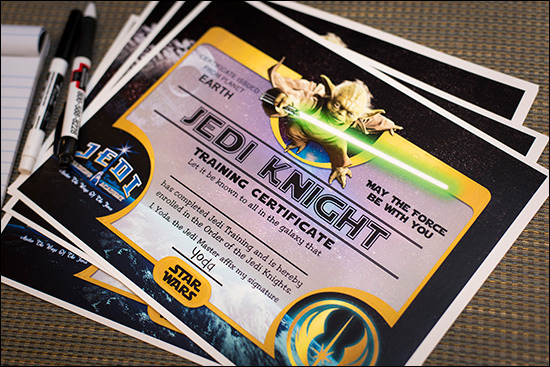 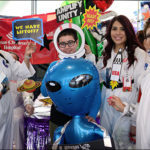 Space-themed activities for the patients included creating a space galaxy, moon rock throws, Saturn ring tosses, decorating a spaceship, and getting photos taken with their favorite Star Wars characters.